These SOLID BLACK CRYSTAL Opals are from the Lightning Ridge mining fields in Australia. 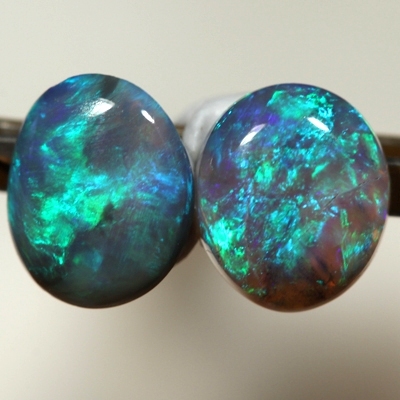 Feast your eyes on this beautiful opals. The bright colours of green and turquoise are showing bright and strong, moving all over the background of blue, great in all lights.